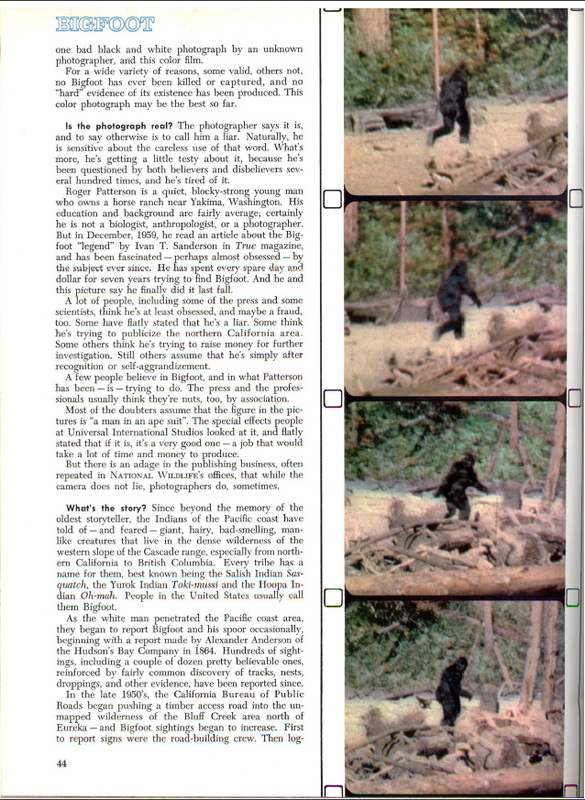 This issue of your friendly, neighborhood Bigfoot blog contains a somewhat size-reduced copy (For Research Purposes Only) of the very scarce and of course out-of-print NATIONAL WILDLIFE article published in the April-May 1968 issue of this magazine of the National Wildlife Federation (still in existence, so click the name-link to check them out). 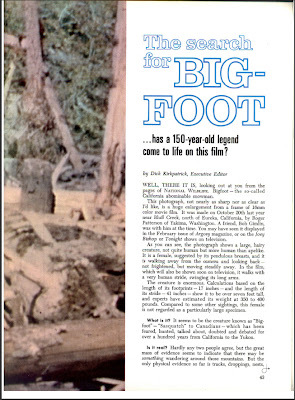 This was published just months after the filming of the PATTERSON-GIMLIN FILM of a female Bigfoot creature walking along a sandbar on Bluff Creek, Del Norte County, California on October 20th, 1967. This issue is coming up to the 43rd anniversary of its publication, much like the ARGOSY MAGAZINE article which we published a copy of in our last blog entry. It was the second major publication of the images and information from that famous day in Bigfooting. 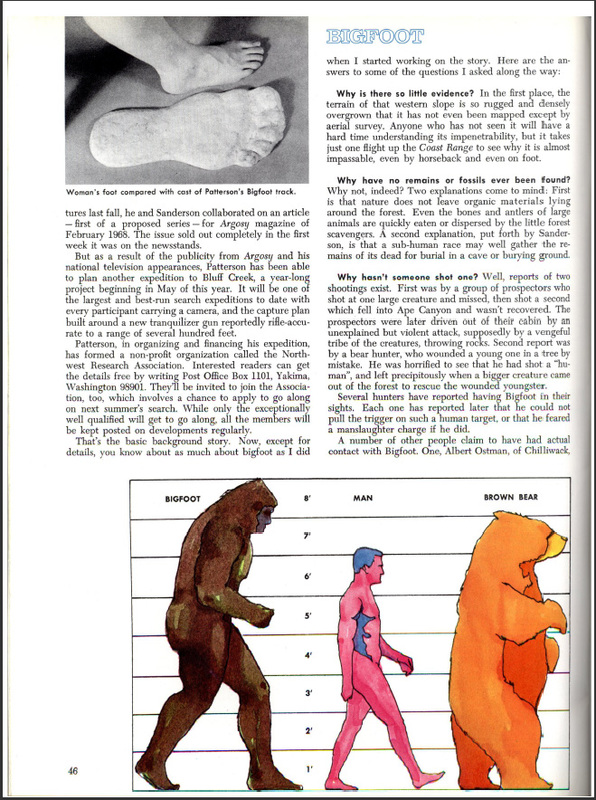 According to the History Channel show, MonsterQuest ("Bigfoot: Critical Evidence" episode), Roger Patterson was asked to take a lie detector test before they would risk publishing this article. Patterson PASSED this test with no doubt in the examiner's mind. Read on for more. 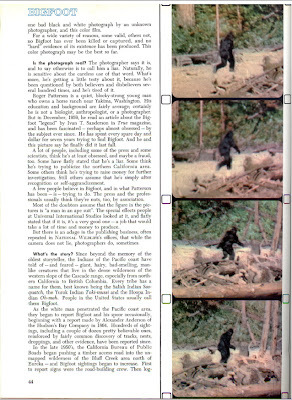 Below you'll find the results of a game camera we (researher Rip Lyttle and I) put up in the forest behind our cabin, plus how we were made into a cartoon character, and a recent lecture given by one of our favorite Bigfooters, Thom Powell. 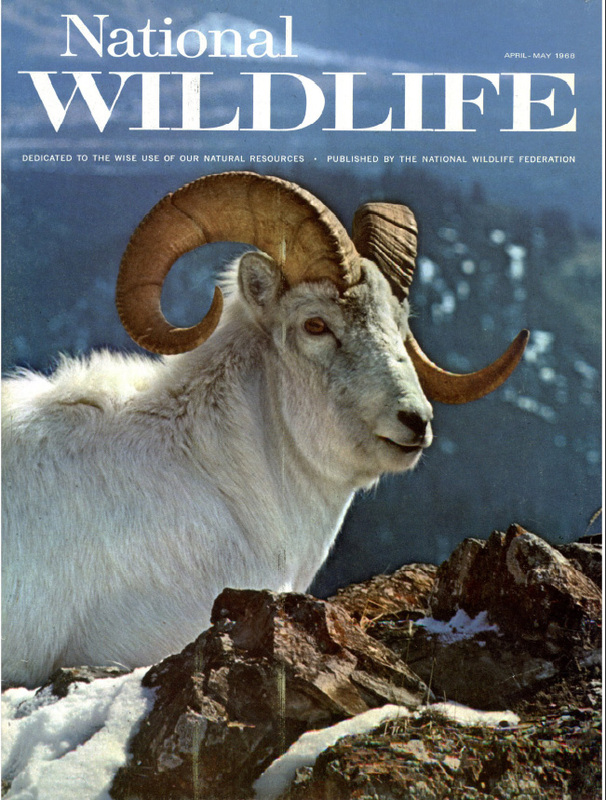 Here is the NATIONAL WILDLIFE article from APRIL-MAY 1968, along with the cover (above) and contents page. 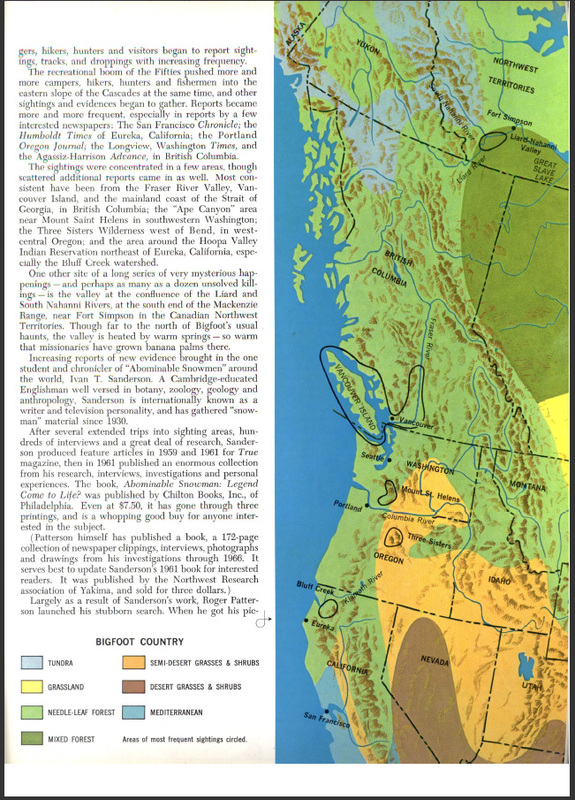 CLICK IMAGES TO ENLARGE AND READ, or else right-click to download and open and enlarge in your own photo-processing program. 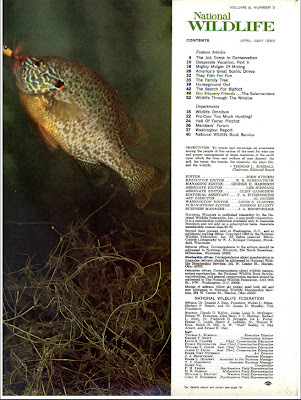 We have a high-quality massive megabyte PDF file of this, but these are the best we can present here within the limits of Blogspot/Blogger. Recently Rip Lyttle and I decided to put up a game camera in the backyard of my cabin in an active game trail area showing recent and very definite bear signs. As there has been some odd wood knocking back there in the night recently, as well as some much more definite heavy footfalls on the hillside a couple of years ago, we thought maybe (just maybe) we might also get... something more in the photos. Of course, we know BF is smarter than that! 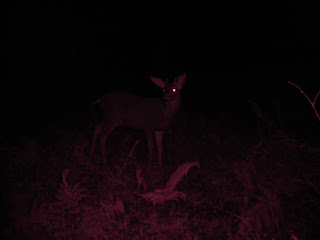 Anyway, other than some nifty deer photos in the second week's posting, our first endeavors got only this very mysterious creature coming right up to the camera for a look. What was it? Young descendant of the critters who ate my last garden. 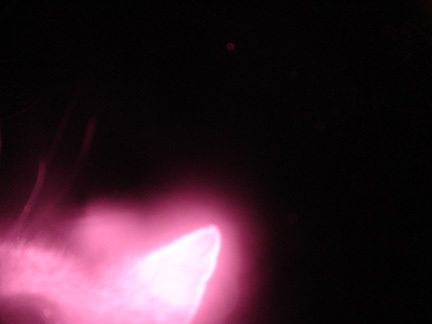 To the best of our ability to determine we have concluded that it is one of the feral kittens that were born on the porch of my cabin in a drawer that the semi-feral mother seemed to like. Good news! I've already re-domesticated one of these little guys, so I'm hoping we can find more of them still alive (despite the foxes). Sorry, no Bigfoot; but heck, it is winter. 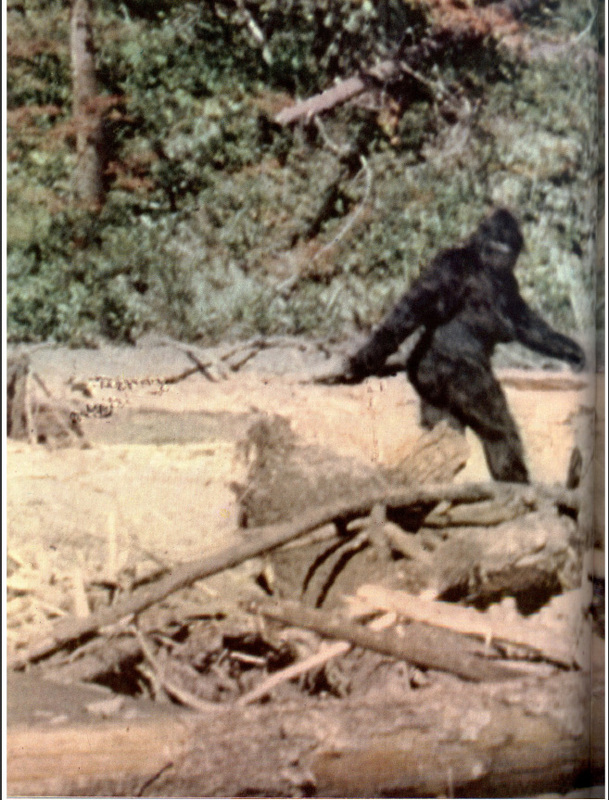 The strange thing is that the wood knocking most recently heard came from an area seemingly intentionally away from the game camera placement. 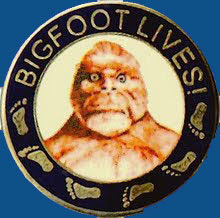 Was a Bigfoot out in the hills chuckling at us? Who knows. Here are links to a fascinating new video of a November 2010 lecture from the author of THE LOCALS Thom Powell. 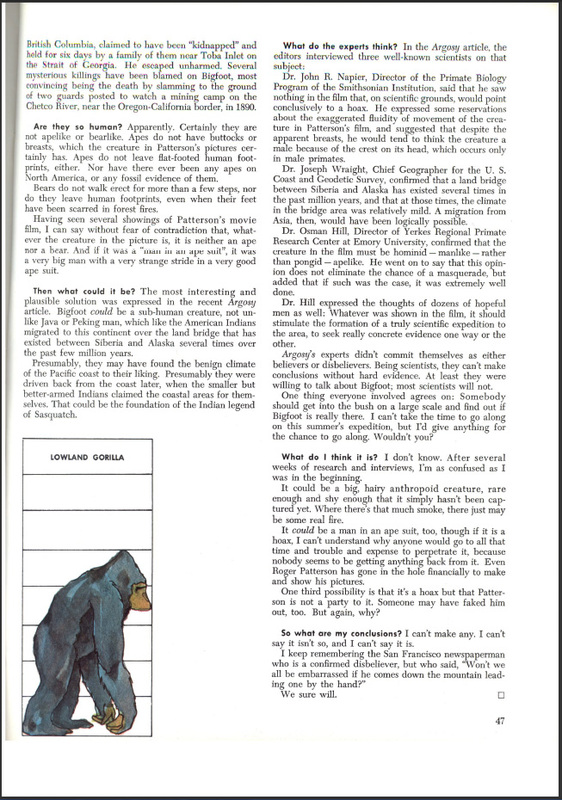 You can view it in on the Thomsquatch site HERE. Alternatively, you can view it on the site of the University of Oregon (in various other computer program streams) HERE. 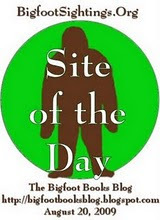 If you haven't yet discovered his THOMSQUATCH BLOG you are really missing out. 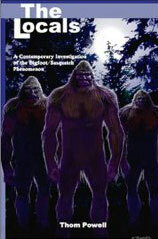 He is one of the most interesting thinkers and researchers in the "Contemporary Investigation of the Bigfoot-Sasquatch Phenomenon. Me still want hibernate, but now me awake. So, me just read this and you go away, OK? Me read: "What we don't understand requires humility of us. 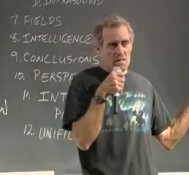 That which we do understand requires responsibility." Them good words. Now bye, hu-man.